The University of Maryland’s A. James Clark School of Engineering has been ranked 20th in U.S. News and World Report’s 2019 Best Online Engineering Programs rankings. The Master of Engineering and Graduate Certificate in Engineering programs at the Clark School have had an online component since 2003, when the online Fire Protection Engineering program was created. The Clark School’s programs that were ranked for 2019 include eight different academic areas: Bioengineering, Cybersecurity, Electronic Packaging, Fire Protection Engineering, Project Management, Reliability Engineering, Energy Systems Engineering, and Transportation Systems. The online courses follow a traditional weekly schedule, and the programs have the same admission requirements and academically rigorous curriculum as the on-campus program. These programs are designed for working engineers and technical professionals who wish to advance their career while balancing work, family, and life. 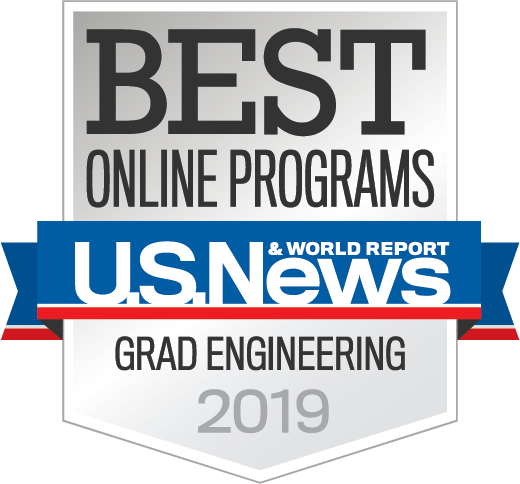 U.S. News and World Report’s annual Best Online Engineering Program rankings are determined based on data from the following categories: Engagement, Faculty Credentials and Training, Services and Technologies, Student Excellence, and Expert Opinion. For more information about the Clark School’s online programs, visit http://advancedengineering.umd.edu. To view the complete rankings, visit https://www.usnews.com/education/online-education/engineering/rankings.